On recreating the epic journey of Saroo Brierly and cultivating talented new filmmakers. Around this time four years ago, Iain Canning and his producing partner Emile Sherman were knee deep in snow at the Sundance Film Festival for the premiere of their latest production, Jane Campion’s “Top of the Lake,” and all they could think about was Sherman’s native Australia, but not for the reason you might think. Though it was summer down under, there was actually something hotter than the sun dominating the news cycle – the story of Saroo Brierly, a young man from Tasmania who lost touch with his birth mother and brothers in a small village in India at the age of five and miraculously was able to track them down 25 years later. After laying out their vision, the family granted Canning and Sherman the rights to the story, which the producing duo then in turn gave over to the growing family of collaborators they’ve cultivated since founding their production company See Saw in 2008. With a unique combination of commercial instinct and strong taste in material and filmmakers, the two have helped introduce such artists as Steve McQueen (“Hunger,” “Shame”) and Anton Corbijn (“Control,” “Life”) into the feature world and paved the way for such ambitious, distinctive and often logistically complex features as John Curran’s “Tracks,” John MacLean’s “Slow West” and Tom Hooper’s “The King’s Speech.” But See Saw is unique in another sense, tending to work with the same filmmakers again and again as both continue to grow. This is why Canning and Sherman needed to look no further than the person standing to their right at Sundance – Garth Davis, who directed three episodes of “Top of the Lake” and had yet to direct a feature – to find the right director for “Lion” and soon got in touch with Luke Davies, the writer of the Heath Ledger-Abbie Cornish drama “Candy,” which the two had worked on prior to forming See Saw, to pen the script. 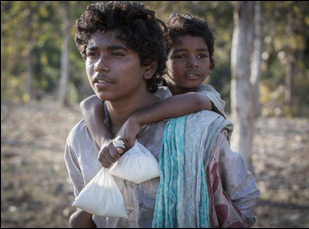 The result is a mightily compelling crowdpleaser brimming with confidence in spite of a subject that doesn’t obviously lend itself to the big screen treatment, something you’d hardly think as you spend the film’s first 45 minutes on the streets of Calcutta with the young Saroo alone after losing track of his brother Guddu when the two are panhandling to feed their family. 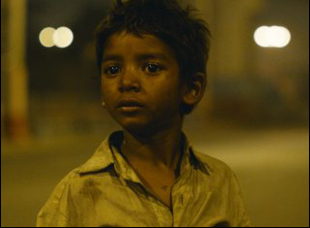 With sparse dialogue and an eight-year old with no prior acting experience in Sunny Pawar carrying the first half of the film (while Dev Patel ably carries the second), “Lion” turns an obstacle into an unusually captivating way into Saroo’s plight, ultimately giving the story, which spans two continents, the epic scope it deserves in an era when most dramas are bereft of such scope. Recently, en route to the Golden Globes where “Lion” was nominated for best drama, Canning took the time to speak about developing talent at See Saw and developing the company’s latest triumph, as well as stopping traffic in Calcutta and how the filmmakers are actively helping other Indian children in a similar situation as Saroo find home. This may be a larger question than “Lion,” but I couldn’t help but notice both Garth Davis and Luke Davies, the screenwriter, have really grown with See Saw over multiple productions. Is it simply a case of enjoying the experience of working with the same people again or is it important to you to develop artists from film to film? It’s incredibly important for lots of reasons. One is that if you know and trust that someone is talented, you want to go on the journey of seeing them realize their art and their storytelling coming to life and you want to be there for the whole journey. It’s also just wonderful to build up a shorthand and develop together. The challenge then is to find the material together and keep on working together as you start to make that first film or second film on. Was there something particular about Garth and Luke that made you think they were the right fit for this story? Well, Garth was so embedded in our excitement about the project because we heard about it when we were with him in the U.S. With Luke, we knew that he just has a beautiful poetry in the way he writes. It was a very sought-after story, so we could’ve in some way used the project to work with a filmmaker that we had never worked with before, but that’s really not how our company is set up. We really do want to support the people that we work with and like the material that we like. The film has such a bold introduction, staying with Saroo for nearly 45 minutes in near-silence as he gets separated from his family in India. Luke has said, you were onboard with that from the start, but was this in fact a tough story to crack? What we wanted to do from the first moment we were trusted with the material from Saroo was to be as authentic as possible to that journey. It’s sort of a manipulation as Luke describes it [in other interviews] – to say here’s a person in their twenties [at the start]. We didn’t want the audience to feel like they’re starting the story behind the character. That’s what Emile and I grabbed onto when Luke was describing it – we wanted them to be right at the center of Saroo’s experience from when he was five years old on and we didn’t want to play any tricks on the audience. If we would’ve started with him as an older character, we would’ve been playing some dramatic games with the audience and the character and we wanted to be as truthful and emotionally honest as possible, so it always made sense then to start with the boy getting lost. A lot of times filmmakers will say they won’t pursue a movie if they can’t get the right person for the role – was that the case with the young Sunny Pawar? Yeah, we definitely felt the pressure of understanding that our film is going to be on the shoulders of a probably inexperienced young child actor, or even a young child, so we did that process quite early and did quite an extensive search for the right boy. But it wasn’t actually just Sunny for young Saroo. We needed to find a great Guddu as well for the great relationship between those two [brother] characters. We were probably optimistic producers to think that we would find the right person to play that role, but it was something that Garth was absolutely focused and rightly concerned from the very beginning, [as early as] developing the script that we needed an exceptional young man to play that role. Logistically, was this a tricky shoot to coordinate since you’re in both Australia and India? Yeah, it was. We were really helped by having a great production services company out of India, but it’s always a challenge to make the money structure cross two major locations, and within that, we shot at various places around India. We also had to shoot in a way that would be supportive of Sunny. In Australia, it was less…beautifully chaotic. (laughs) [In India,] we hadn’t shot in the exact village that Saroo’s birth mother lived because we wanted to respect the fact that when we had a film crew arrive in the village, it’s going to disturb the dynamics of the local infrastructure. But we were actually filming in Tasmania where Saroo and [his adoptive parents] Sue and John live and we wanted to be sensitive to that, so it was about being as delicate about filming [there] as possible. It was actually wonderful to have Saroo and Sue come visit the set and see the film unfold, really. One moment that comes to mind is that one wonderful sequence where Sunny runs up and goes on to this bridge in Calcutta and it’s totally empty. That is actually one of the main road arteries in Calcutta, so it was a pretty big job to ask one of those areas for that bridge to be shut down. Garth and Greig [Fraser, the cinematographer] had actually been scouting late at night and there was a moment where the bridge was totally quiet. They really wanted to recreate that, so luckily through our productive services, we were able to work with the powers that be and they managed let us have four hours. So we had to shoot the whole sequence with him running over the bridge [in four hours] and it was a huge undertaking because Calcutta’s a very alive city and having to control the trains is incredibly complicated, especially when you’re using a network of train tracks. The most stressful thing was getting all of that organized and being able to make all the train shots work, but it was really wonderful to get that really iconic moment showing how vulnerable Saroo is in that context. You’ve been through this before with “The King’s Speech,” but the film was all the buzz after its premiere in Toronto and screenings of this kind of crowdpleaser are usually quite emotionally charged. Has there been a particularly special moment from bringing the film out into the world? It was definitely an incredible moment to bring Saroo and his family over to New York for the New York premiere. It was just after the election and Bill Clinton was there, and it was a very special moment in terms of showing the [family], these very beautiful people [who] have no need for the fame or the profile. They simply want to tell their story and to show that Saroo was so lucky to be adopted by a family that loves him very much. Saroo thanked his mom and dad on stage that night for loving him and it was a very emotional moment. It was good to know as producers that we did our job in telling this story that was going to make an audience emotionally involved, but also honor the true story that happened to these real people and it was great to connect the love for the film and the love in what those people have gone through in real life with an American audience for the first time. At the end of the film, there’s a note about a social action campaign – #LionHeart, which has already generated $50,000 for non-profit organizations in India who work with at-risk youth. Has it been interesting to work on a film with that component to it? From the [time] we started to be involved with developing and actually shooting the film, we knew we had a responsibility ourselves in terms of using any good will that may be associated with watching the film with trying to make a difference in some way. or improve lives for various reasons. From a company perspective, we often [hear from] people who are totally disenfranchised – [with] stammerers and stutterers through “The King’s Speech,” [we learned] how that film ended up making people feel like they had some touchstone to be able to show people what life they were living. It was really wonderful to be a part of that aftermath and we just feel that we have this unique opportunity making the film, that we can do some good. We’ve been actively involved with a company called PictureMotion and the Weinstein Company [for] the #LionHeart campaign that is all about helping children who are either lost or in some form of peril in India and finding a way through that, and also a better future. We’ve identified three charities – The Charity Network, Magic Bus, and Railway Children, which looks at and implements ways [for] children who are lost or are frightened or at that point of peril [to help with] contacting someone who is going to help. It’s about helping those children get off the street and move forward with their lives, but also education and helping children towards a more prosperous future. We wanted to show a progression of how children can be helped [in the film] and we wanted to involve distributors across the world [in #LionHeart] because they’re individual distributors in each territory to see whether they would contribute and be a part of it, as well as the general audiences, which they have. It’s in its early stages and we will hopefully go to more screens in the U.S. and also start releasing in other territories around the world, so it is a magical thing because the money is going to go to a great cause and it’s going to end up helping people, so it’s been lovely. “Lion” is now out in theaters. Interview: Madeline Fontaine, Stephane Fontaine & Jean Rabasse on Crafting "Jackie"